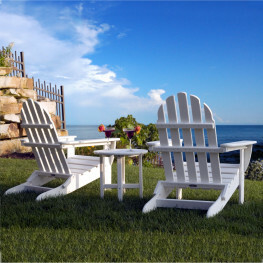 Largest Selection of Poly Adirondack Chairs! 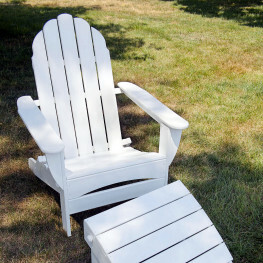 POLYWOOD Adirondack Chairs are maintenance 'Free Care' so no worries with these chairs! 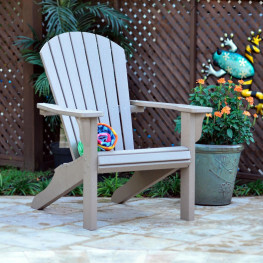 Your casual, maintenance free life begins with Poly Lumber & POLYWOOD Adirondack Chairs which are made from recycled milk jugs that are converted into recycled plastic lumber. 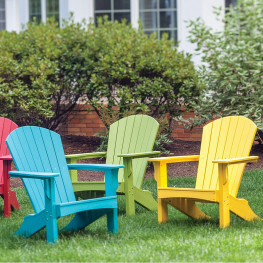 POLYWOOD Adirondack Chairs will remain unscathed by the elements even after years of exposure require no sanding, painting, staining and they will not rot or splinter. 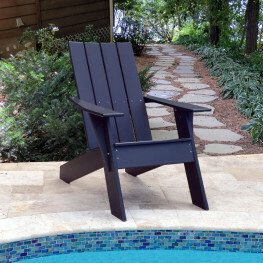 Our weighty Poly Lumber & POLYWOOD Adirondack Chairs will not get blown around and you will love the maintenance free care offered by these outdoor chairs. 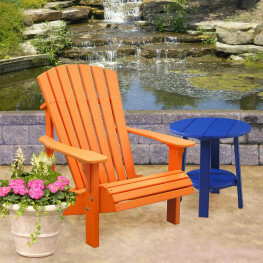 You can choose from a variety of poly lumber colors from teak Adirondack Chairs to pink Poly Adirondack Chairs and several different styles all to accent your outdoor patio. 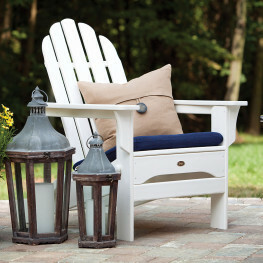 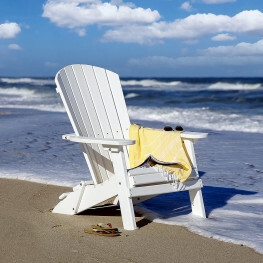 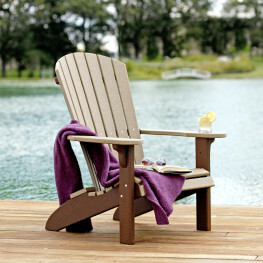 What Makes a Comfortable Adirondack Chair? 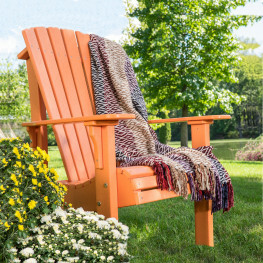 Check out a few key features that can make all the difference in the world for a great chair. 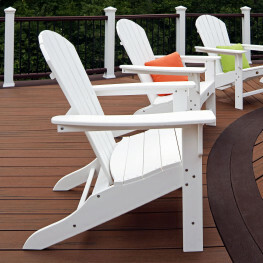 A Must - Look for a curved back - the more slats the greater the curve to give you that sink into feel. 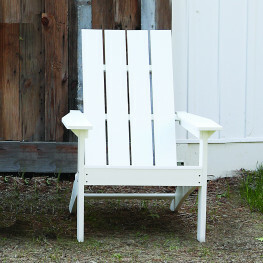 Material Thickness - particularly on the legs. 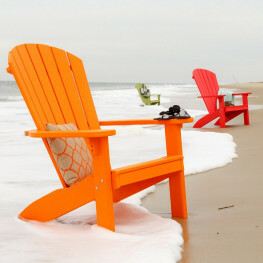 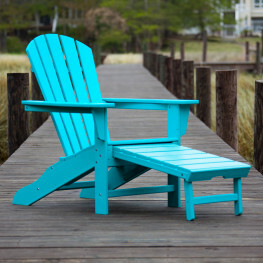 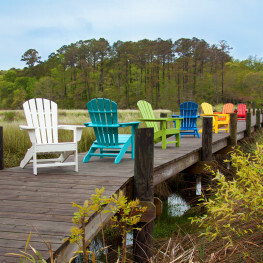 Some poly furniture adirondack chairs use 3/4 in or 1 in and 1-1/2 in thickness. 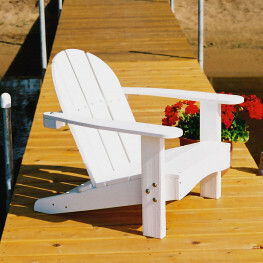 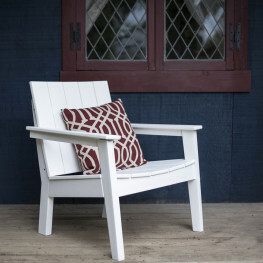 The thicker, the sturdier which adds weight to the adirondack chair. 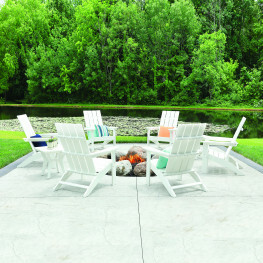 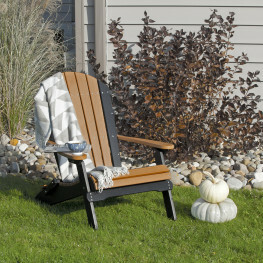 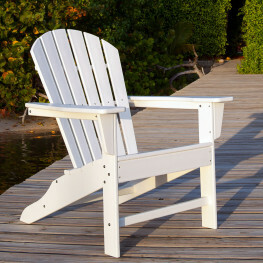 Stainless Steel Fasteners - these poly adirondack chairs are designed as all weather furnishings. 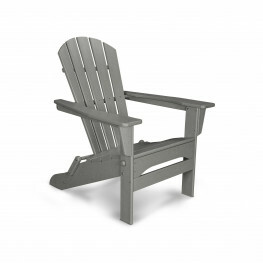 Stainless steel hardware prolongs the life of your new poly lumber adirondack chair. 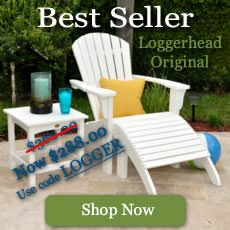 Seat Slats, Sizes and Distance. 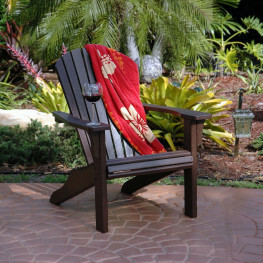 Smaller seat slats tend to be more comfortable allowing to form greater contours. 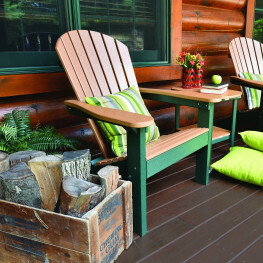 Smaller distances between the slats also contribute to the overall adirondack comfort. 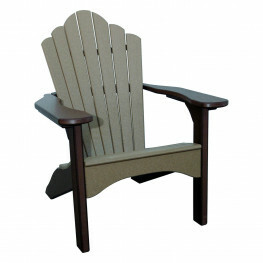 Rolled Seat Edge. 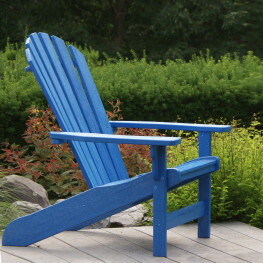 Some adirondacks have a straight dropoff at the edge of the seat which tend to be uncomfortable without a ottoman. 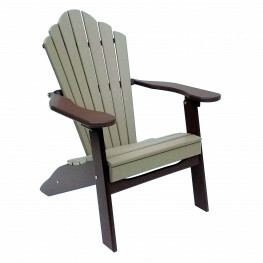 Others have a rounded "waterfall" front that feels nicer on the back of your legs. 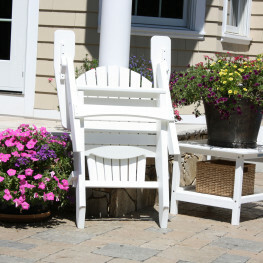 Checkout the image below for a visual on differences. 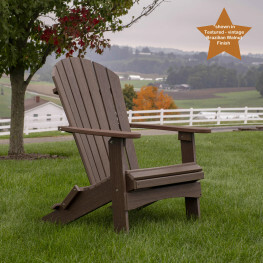 And remember, all our products are proudly Made in America!